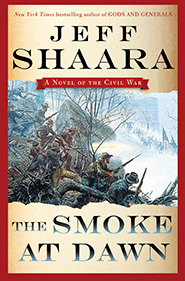 I’m a bit of a history buff and I recently finished reading Jeff Shaara’s new book “The Smoke at Dawn” which focuses on the Civil War battle for Chattanooga. The book has me thinking about what makes an effective leader. At the beginning of the novel, one general has every advantage, but focuses on the wrong things. While the other general begins at a major disadvantage, focuses on the right things, and ends up winning the battle. The novel reinforced some core leadership principles that were good reminders for me. First and foremost – where you decide to focus your energy matters. You can allow your attention to be distracted and squandered on the petty minutia or you can keep yourself focused on key goals. An effective leader doesn’t ignore the details, but does know what is important and what is not. An effective leader actively chooses to spend most of his or her energy on what is important. Second, you need to identify a goal to be accomplished and share that vision. An effective leader ensures that everyone on the team understands what the goal is, why the goal is important, and the part they play in making the goal a reality. Even the “reserve forces” play an important role, and they need to be told what it is. Third, you need to listen to and trust the people in the trenches. An effective leader listens to the team’s problems and removes roadblocks. He or she also listens to their ideas and lets them experiment with different ways to reach the goal. Fourth, you need to recognize and acknowledge the efforts of the team, even when they don’t succeed. An effective leader holds people accountable, but also helps them learn from mistakes. Finally, you need to recognize, acknowledge, and act to correct your own mis-steps. So — What leadership lessons have you drawn from unexpected sources? This entry was posted in Consulting, Project Management and tagged edgewater consulting, program management, Project Management. Bookmark the permalink.